CBIOS was created in 2011 as a structure of COFAC/U. Lusófona, to promote research in health sciences as part of the university’s School of Health Sciences and Technologies. The center incorporates 15 integrated (full) members, 17 PhD students, 9 collaborators and a wide institutional collaborative network. 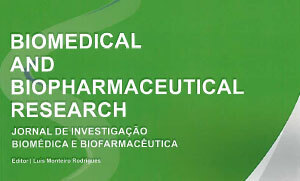 Pharmacology and Therapeutics, Phytochemistry and Food Sciences, and Development of Delivery Systems, providing a suitable environment to foster innovation and to develop transversal research in fundamental, applied and translational research. Currently, CBIOS is focused on six multidisciplinary domains – skin research, cancer therapy, drug development and delivery, natural products, food and nutrition, and public and environmental health. The structure includes several specialized laboratories such as Nanotechnology, Experimental Dermatology, Phytochemistry, Pharmacology and Therapeutics, Cell and Molecular biology. Due to our commitment to advanced learning, we also provide a stimulating and supportive environment for all students, promote the contact with R&D activities at all levels of education, and promote science communication and outreach activities by participating in external workshops, receptions/visits to schools, thematic seminars and activities in public events (Skin Week; Active Ageing; The European Investigator’s night). We promote scientific publications and communications, organizing scientific symposiums and meetings, and are involved in international networks (COST and CYTED). All these activities contribute to make communication more effective and consistent. CBIOS knowledge transfer center provides a closer interaction with industry, offering science based support and consultancy in our expertise areas (medicines, cosmetics, medical devices, and food supplements) and offers a relevant funding source. Despite CBIOS brief history, the adopted strategy has resulted in a progress path that has proven to be adequate to our purposes and that we intend to pursue.